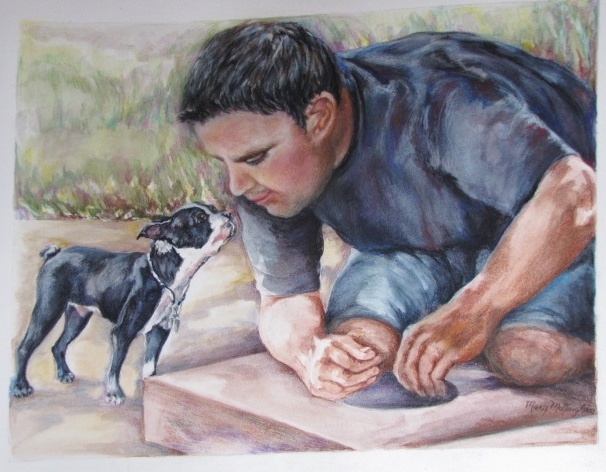 One last view of the drawing of Joe and his Boston Terrier, Frankie as a pup. I’ve been working on revisions and at some point I have to say I’m done!! You are currently reading Joe and Frankie at Dr. Mary McNaughton and Drawing.